Discover Caribbean and collect all the special edition stickers! Paradise on earth on March 2019 ! Enjoy sandy beaches, turquoise waters and bright sunshine with 4 pics 1 word caribbean edition! Solve new daily puzzles and earn even more coins! 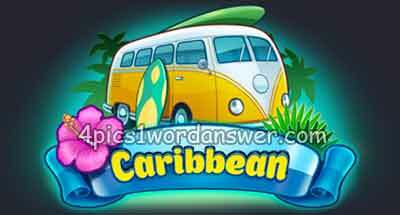 Collect colorful fish and get all the Caribbean badges from 4 pics 1 word daily puzzle caribbean edition !